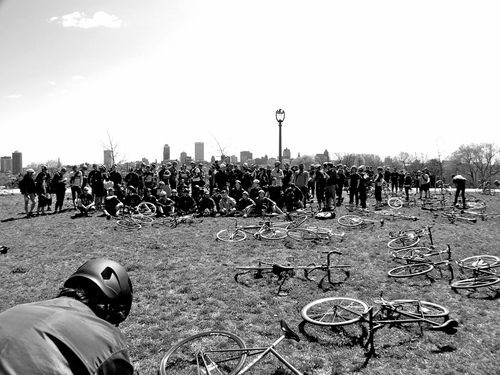 There were so many events last weekend in the fixed gear world! One of the biggest was the Milwaukee Messenger Invitational. In its 9th year running, the event brought out a massive crowd of 115 racers from all over the US. Kevin from COG was there taking photos and yes Peter was there photographing with his helmet on once again. Check out the rest of Kevin’s photos here. You beat me to the punch Kyle!